There was a time when a Porsche 356 was just an old and slow German car. There was a time when a 440+6 Plymouth 'Cuda was just a ratty old car that drank too much gas and a 1969 Jaguar E-Type like the one we've found today was just a rusty British sports car that wouldn't run. The era was the '70's and due to these cars relatively low value and sporty nature, they saw time on the streets racing light to light. Doing battle on Woodward Avenue and Mulholland Drive, many cars from the glory years of the '60's faced off with equally modified cars. Slot mags, Cragars, fiberglass fender flares and custom corburetors were all part of kitting up for these races. We like to say that every car has a story and this one looks like quite the veteran. If cars could talk! 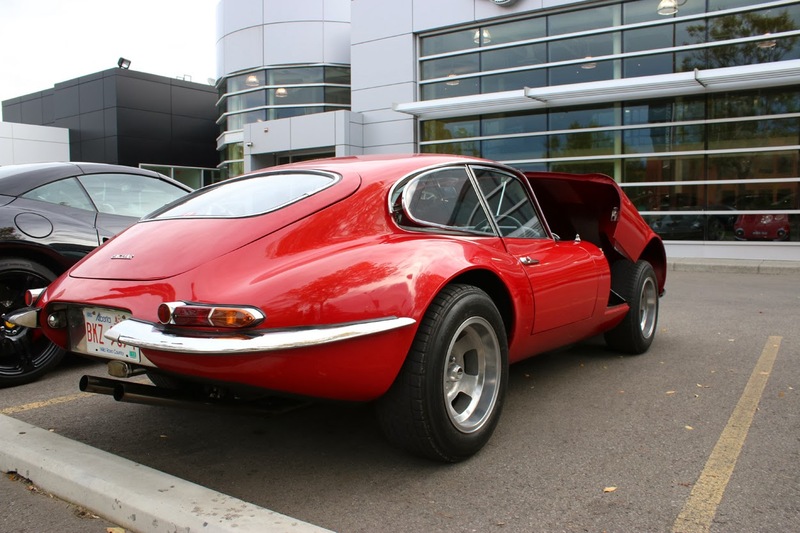 Some sharp eyed viewers might have already noticed the British license plate and combined with the right hand drive configuration leaves no doubt that this car was originally sold the UK. 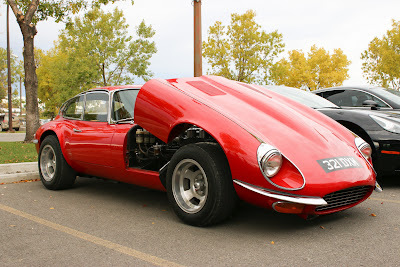 What makes this intriguing is that this E-Type is sporting some decidedly American-esque modifications. The oh-so-'70's "slot mag" rims are housed by bulging fender flares. 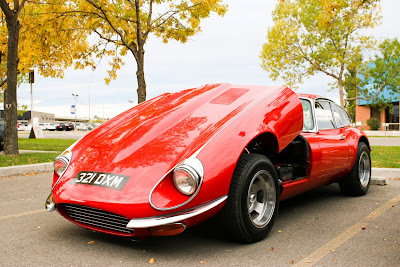 (Not sure if they're steel or fiberglass) It seems unlikely (But possible) that someone would have modified the car in this style across the pond so it was likely imported to Canada where it then received modifications. And the engine! Trumpeting out through these heat treated bundle of snakes, the 4.2 liter straight six has a fantastic snarl and produces 265 horsepower while doing it. 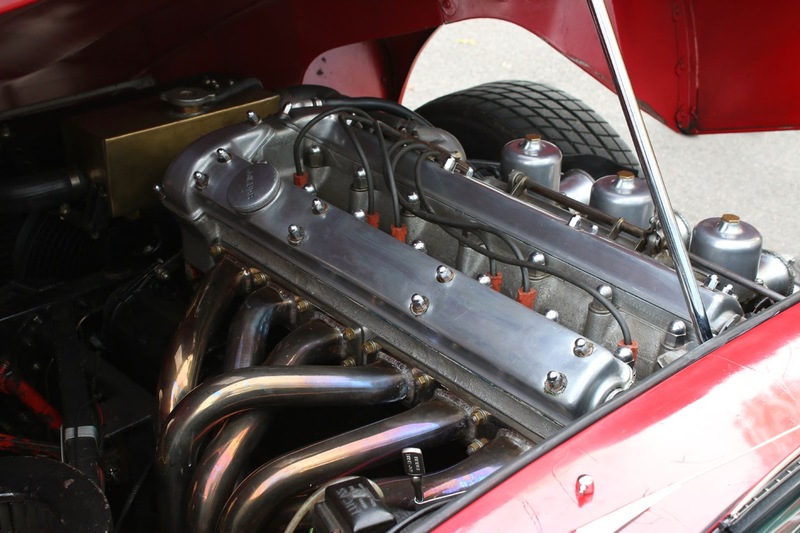 These XK straight sixes are some of the greatest engines of all time and for good reason. This one breathes in through stock euro-spec triple SU carbs minus air cleaner. 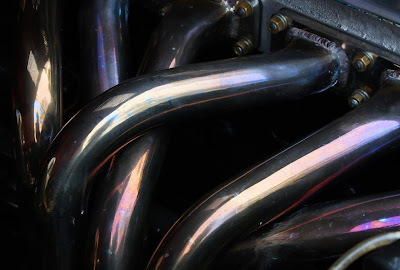 It certainly must be a sound to behold under full throttle. 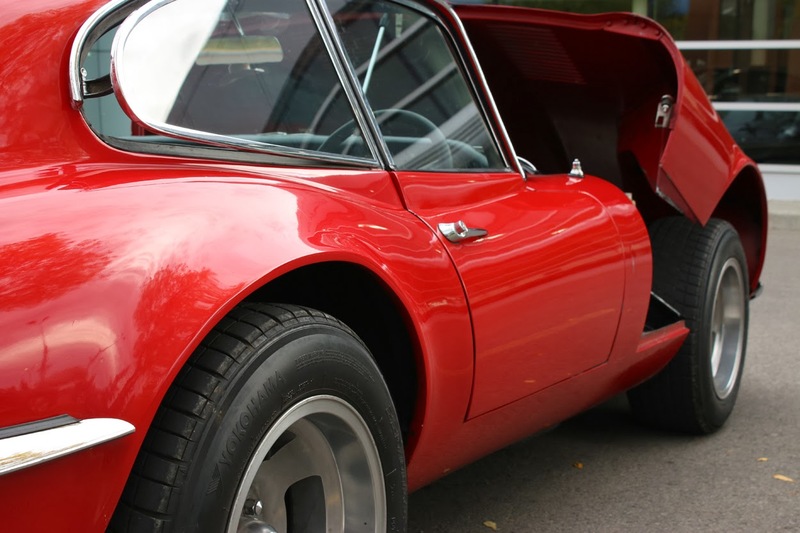 The E-Type was first produced in 1961 and was a real landmark car for Jaguar. 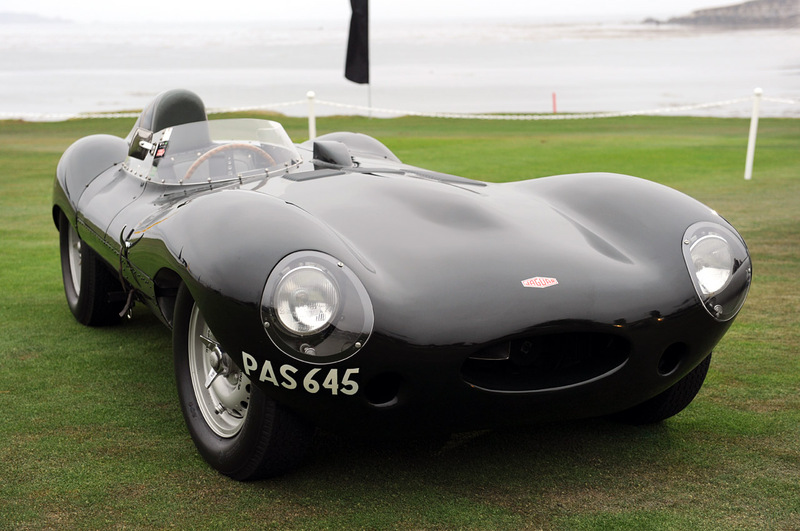 It owed some of its mechanicals and design features to the brutal D-Type and was produced until 1974. 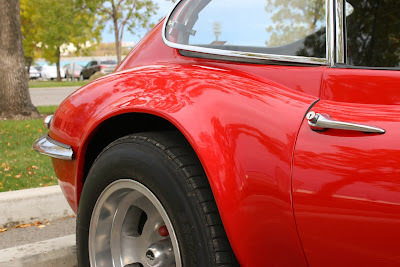 Our 1969 car is a second generation car. The E was and is a striking design and remains one of the most iconic sports car shapes ever conceived. 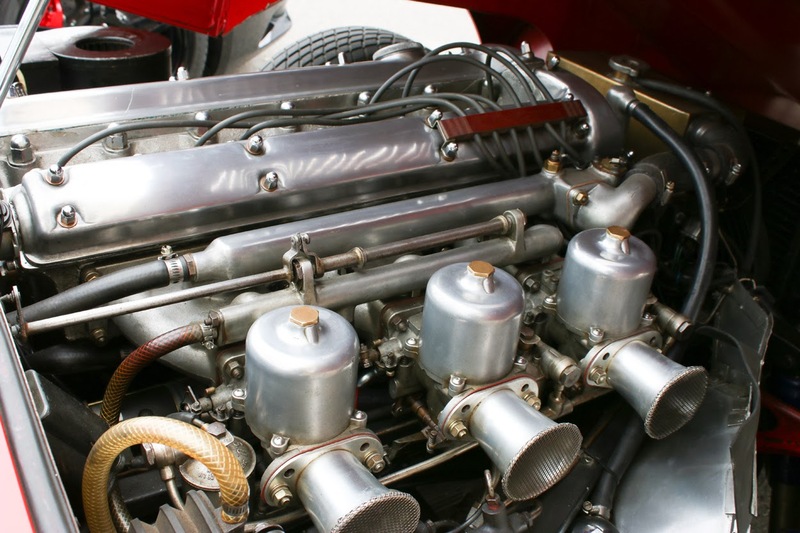 Regardless of it's exact history, this car certainly has many stories to tell. A car like this needs to line up next to a flared Corvette Sting Ray at the lights and roar off into the night.